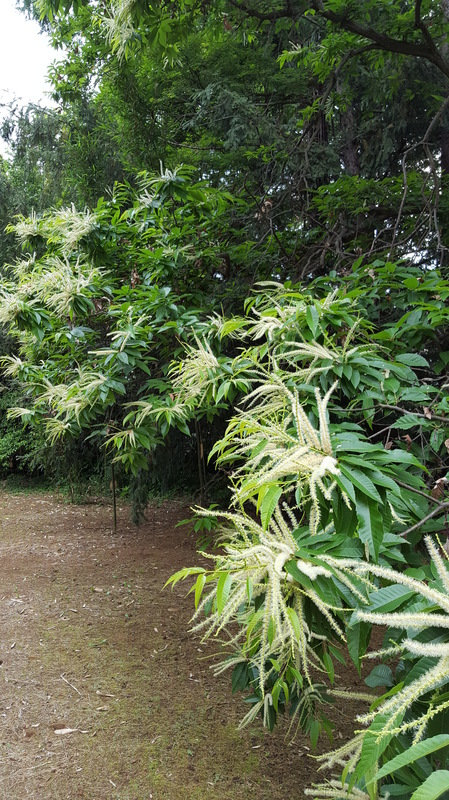 When they bloom to give that sweet and heavy scent, Mei-Shun feels rainy season reaches us soon. The shrine she pays a visit on her walking way seems to accommodate several trees with yellowish white tails. It was cooler this morning, let her recognize them after perspiration.